The brand new Fitness Center is three times as large as the old gyms combined, and includes a Yoga Studio with Wellbeats system. 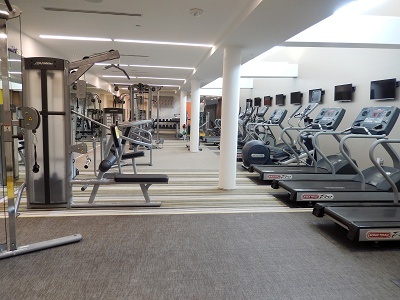 Treadmills, ellipticals and bikes are available for cardio workouts. While a variety of free weights and machines provide strength training.